Parents or guardians are responsible for making certain that their teen has completed no less than 40 hours of supervised driving (or 30 if the teen completed a Skills Development Program). The 40 hours must be completed with a licensed driver who is at least 21 years old, has at least one year of driving experience, and occupies the passenger seat next to the driver. The parent/guardian must participate in two hours of the driver’s education curriculum (unless he/she already attended within the past five years). The following form is a tool for your convenience that will help you keep track of time spent on the road, and will ensure that your teen has a diverse supervised driving experience. 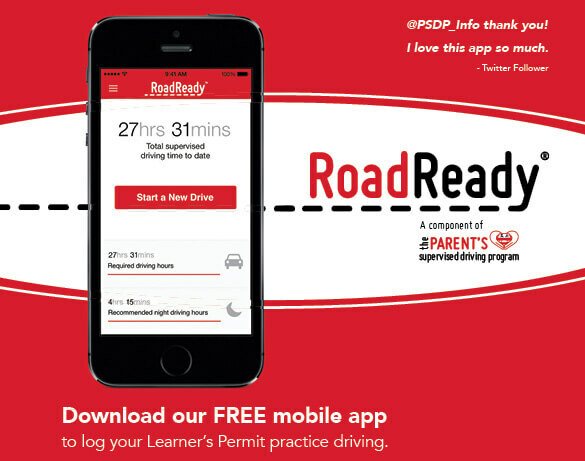 You want your teen to be as prepared as possible for their Learner’s Permit. Graduated Driver Licensing (GDL) systems are intended to provide teen drivers with practice under the safest conditions, exposing them to more situations only as their skills and experience grow.